"thanks for the advice Roberto, we have taken care of our C&D for now." The Law Office of Roberto Ledesma provides cost-efficient legal services for all aspects of trademark law throughout the United States and internationally. Roberto Ledesma, Esq. is a former Trademark Examiner at the United States Patent & Trademark Office. Prior to establishing his own trademark law practice, Mr. Ledesma was an intellectual property law associate at Cowan, Liebowitz & Latman P.C. in New York City, where he assisted businesses ranging from multinational corporations to startups with trademark registration, counseling and enforcement. In his legal career, Mr. Ledesma has worked for the government, in private… read more practice and as de facto in-house counsel. He’s managed large international portfolios and helped small businesses grow brands. This varied experience equips Mr. Ledesma with unique insight and know-how needed to provide all clients with quick, quality assistance at reasonable rates. Education and Honors: Roberto graduated from the University of Florida Levin College of Law in 2005 with a Juris Doctor. He earned honors in Legal Research and Writing and was Associate Managing Editor of the Journal of Technology Law & Policy and write-on invitee for the Journal of Law & Public Policy. 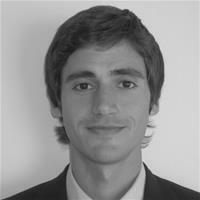 Roberto also graduated from the University of Michigan with a Bachelor of Arts in Political Science and English. Roberto has prosecuted over 1,000 trademark applications with the U.S. Patent & Trademark Office (USPTO) and handled hundreds of contested proceedings before the Trademark Trial and Appeal Board (TTAB). Professional Associations and Memberships: Roberto is an active member of the International Trademark Association (INTA) where he serves on the Law Firm Committee (2014-2016 term). He is a member of the New York State Bar and Florida Bar.